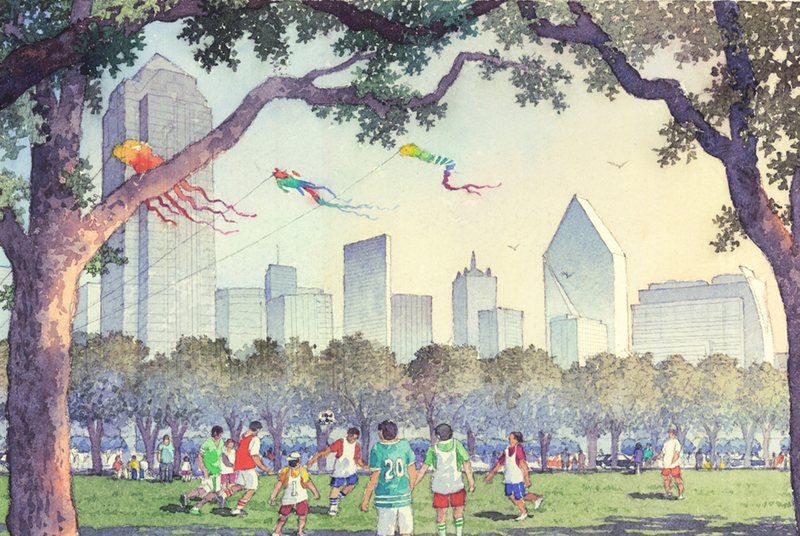 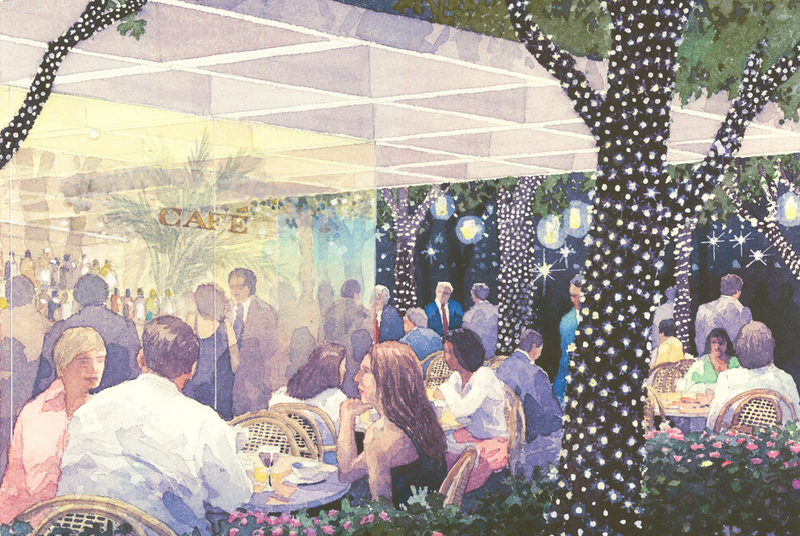 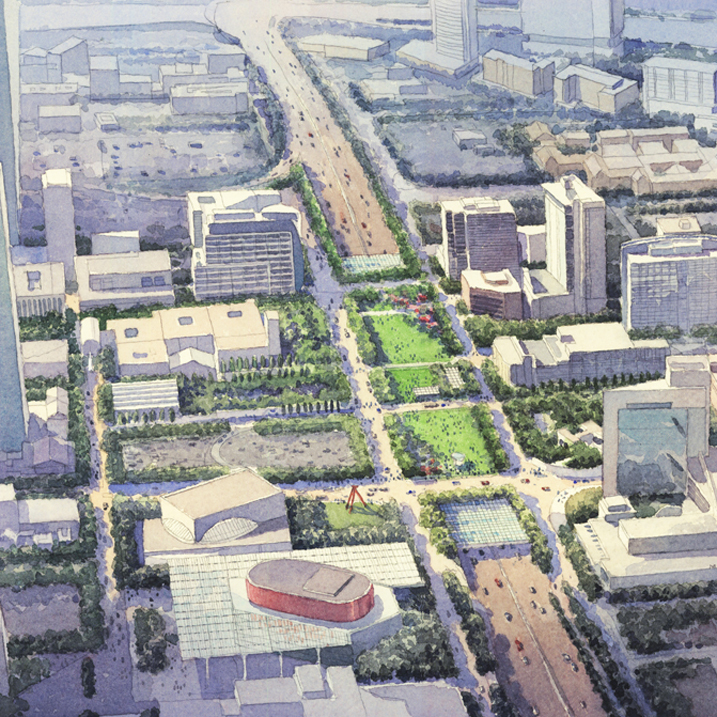 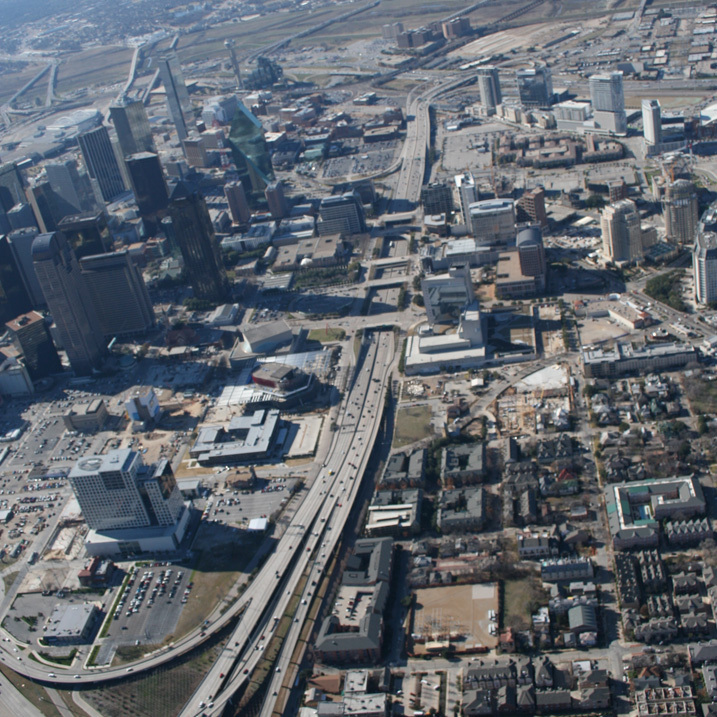 In 1996, Kevin Sloan developed an urban plan for the City of Dallas Department of International Affairs for the area from the Dallas Arts District and Flora Street to McKinney Avenue. 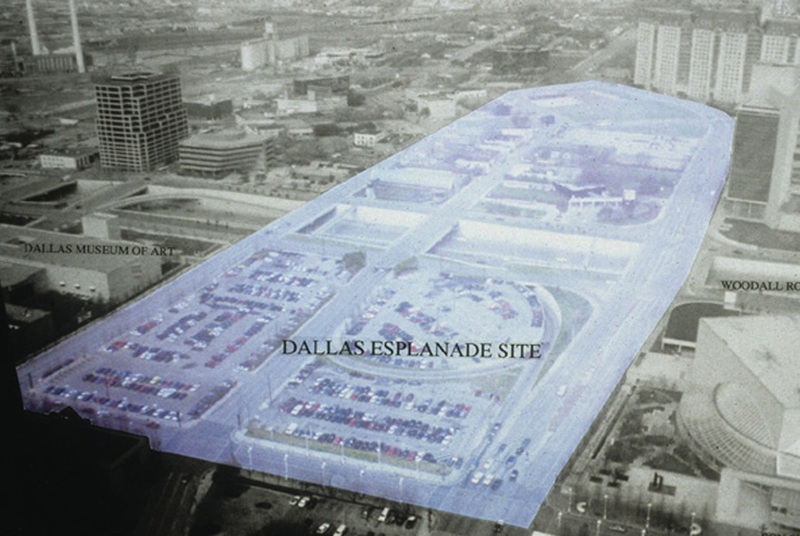 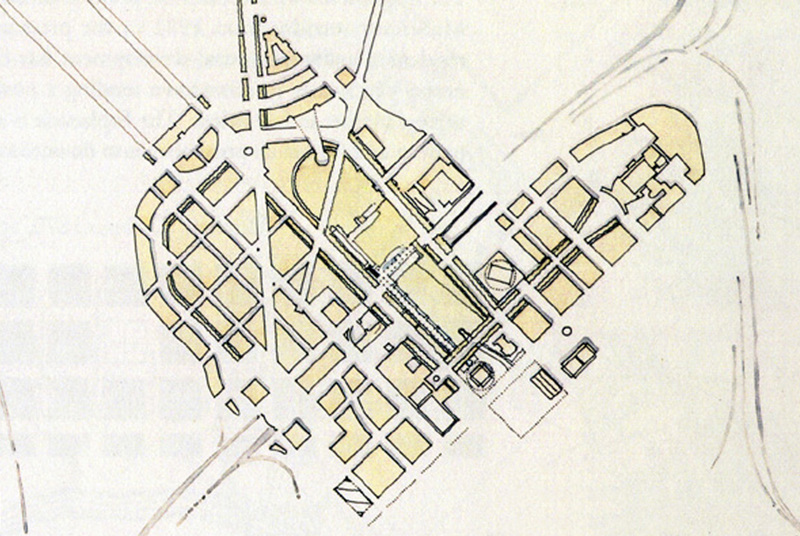 Named “The Esplanade,” the plan included a proposal to deck Woodall Rogers Freeway with an urban park. 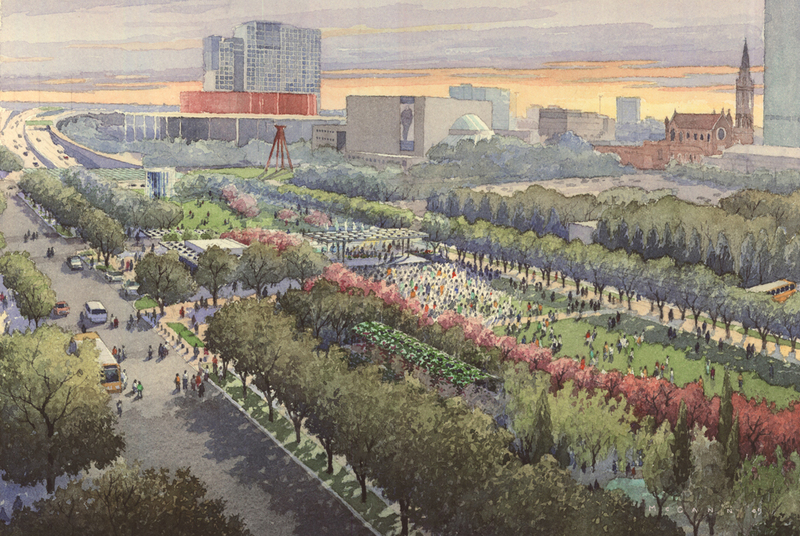 The timing of the proposal anticipated the AT&T Center for the Performing Arts and was revived by another stakeholder group in 2006. 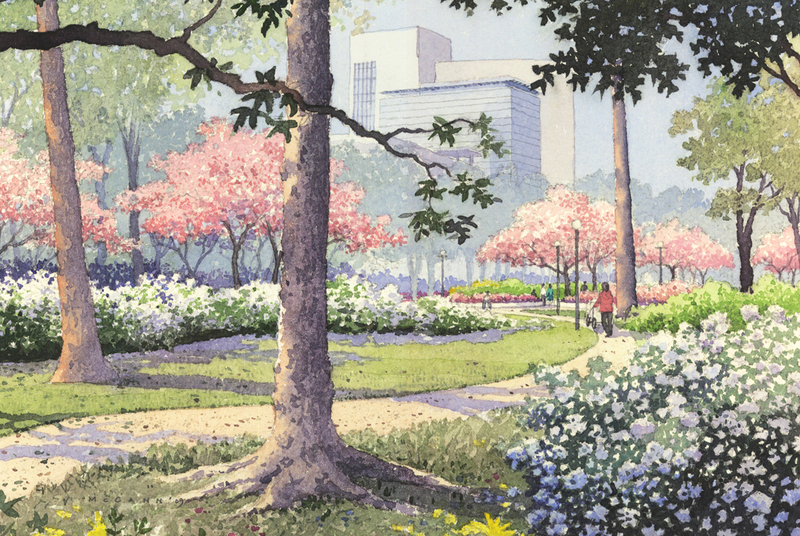 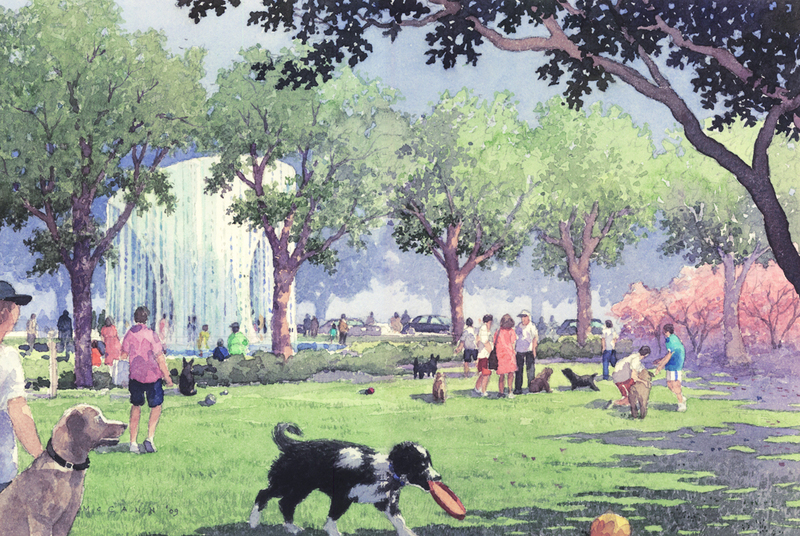 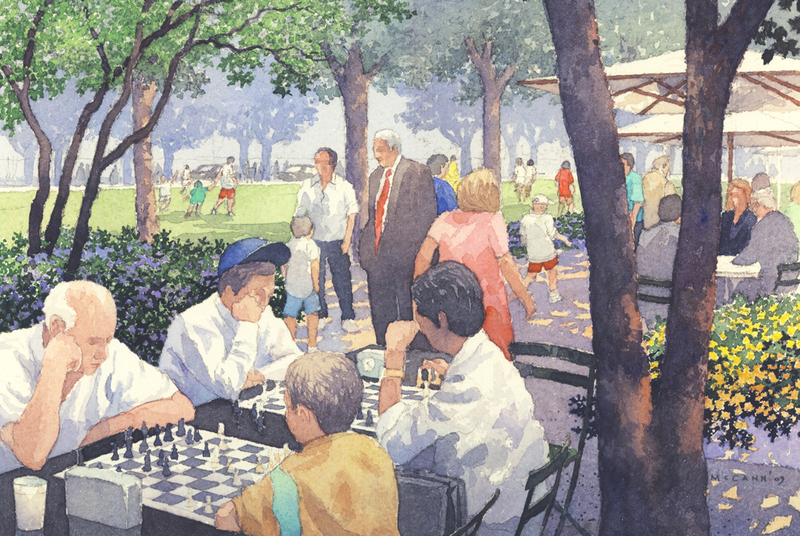 Kevin Sloan Studio was re-engaged in 2008 and in collaboration with watercolorist Michael McCann, developed a new presentation for the park design that succeeded in raising funds to complete the project implementation.